Applications for adoption are required for all animals and are subject to approval based on the information provided. You must be at least 21 years old to adopt. We reserve the right to deny your application if we determine that the needs of the animal under consideration cannot be fully met. Pre- Adoptions are available for our members only! BECOME A MEMBER TODAY! Our adoption fees include: spay or neuter, vaccinations, and having pets micro chipped. Cats must be taken home in a pet carrier. Dogs must be wearing a collar and leash. No appointment is necessary to come and adopt an animal. We hope to meet you soon! When you adopt, you need to make a real commitment to care for your pet for its entire life, no matter what that entails, just as you would with a child. Be prepared for a pet to affect other parts of your life for as long as you have the pet, which can be up to 15 years for a dog and 20 years for cat. Your pet’s well-being will have to be considered in all kinds of decisions, including travel, social life, relocating to a new home, adopting other pets, having children, etc. Verify in advance that you’re allowed to keep a pet where you live, especially if you rent or belong to a homeowners’ association. Make any necessary modifications to your yard and fence, if you have one, to provide for your pet’s safety and to prevent your pet from escaping. 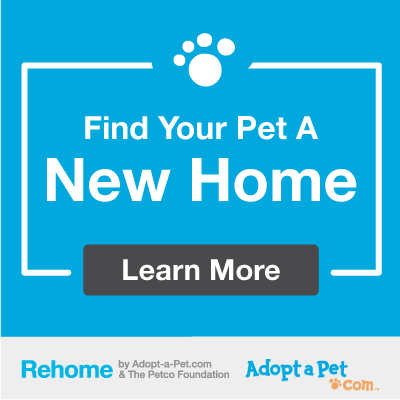 Choose a pet appropriate to your living situation and lifestyle. Figure out what size, age, and energy level pet is most appropriate for you. Meet with one of our adoption counselors for help! Never adopt a pet on a whim or because you feel it’s love-at-first-sight. Do your research and carefully consider all the aspects and implications of adopting before you make a decision. If you’re adopting a pet for your kids, understand that the responsibility is yours. Kids, by their nature, often tire of things that were once new and exciting, and this includes their pets. You will most likely end up being the one who provides most of the pet’s care. All too often the staff at Safe Animal Shelter hear “I want to teach my child responsibility… so I’ve decided to get him a dog!” Remember that the pet is ultimately YOUR responsibility. Provide sufficient exercise and stimulation. For example, walk dogs according to individual need, provide playtime and appropriate toys for both dogs and cats, spend time just petting and talking to your pet, and include your pet in family activities. Remember, most behavior issues stem from boredom and a lack of exercise!